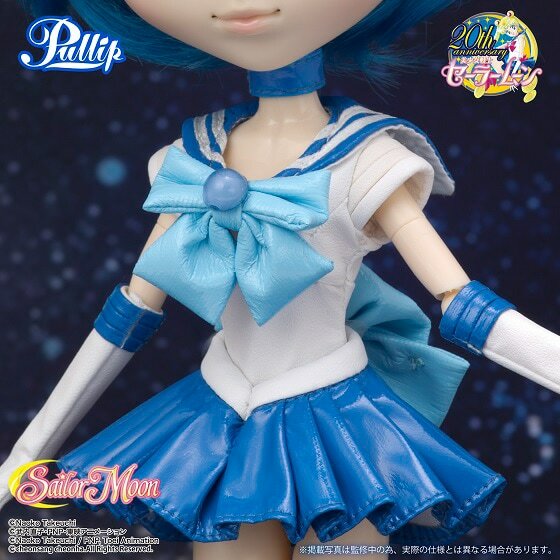 Premium Bandai is now accepting pre-orders for Sailor Mercury. Go to eBay to order this pretty girl! 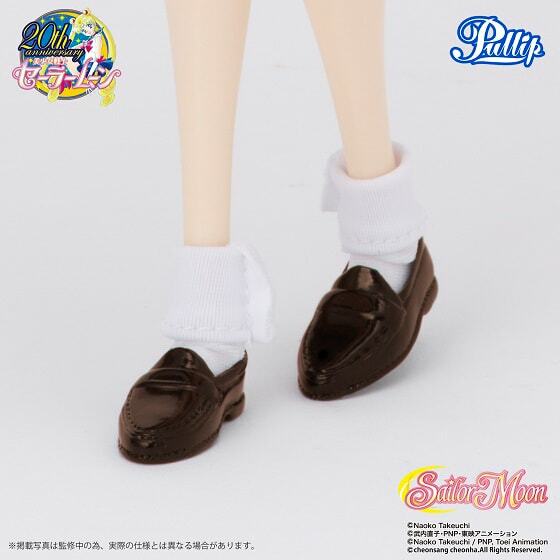 Customers who purchase from Premium Bandai's shop will also receive an alternate outfit, Ami’s school uniform. 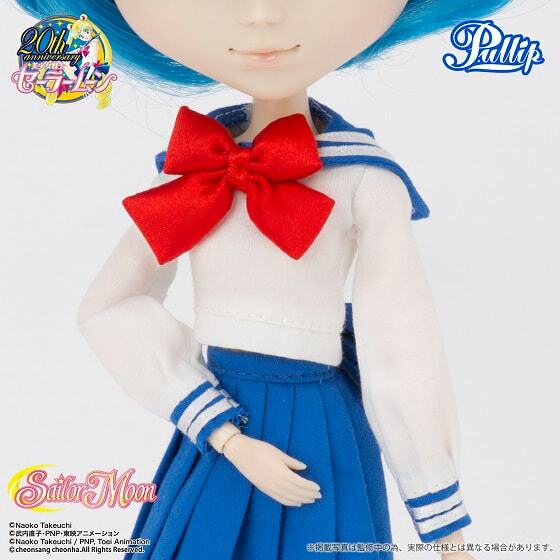 She kind of reminds me of Pullip Evangelion Ayanami Ray which also came with an extra outfit of her school uniform. I wonder what will the "regular" version come with and what her cost will be? 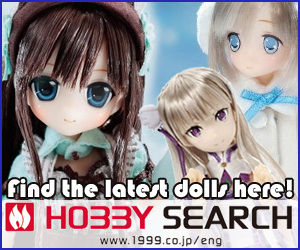 Regular version will cost ¥16,000 about $154 and will come out in September 2014. 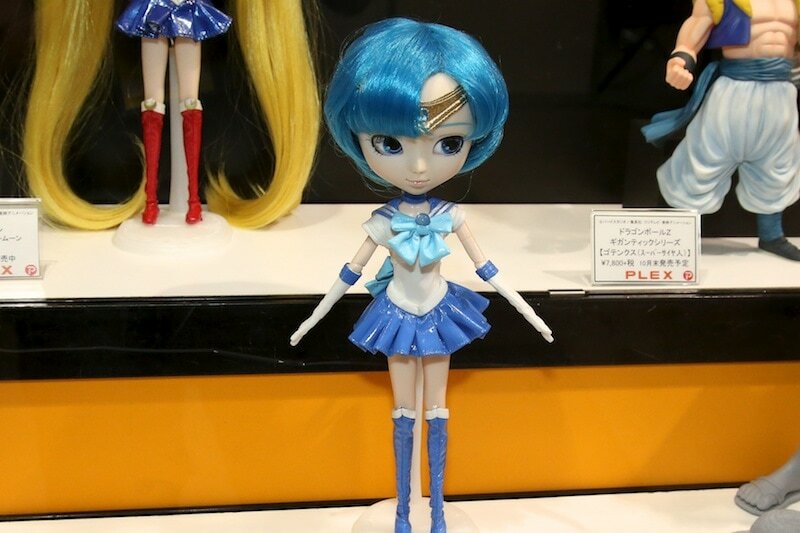 From Chara Hobby 2014, a display of Sailor Mercury! What do you fans think? You excited or not? Leave your thoughts and opinions below. 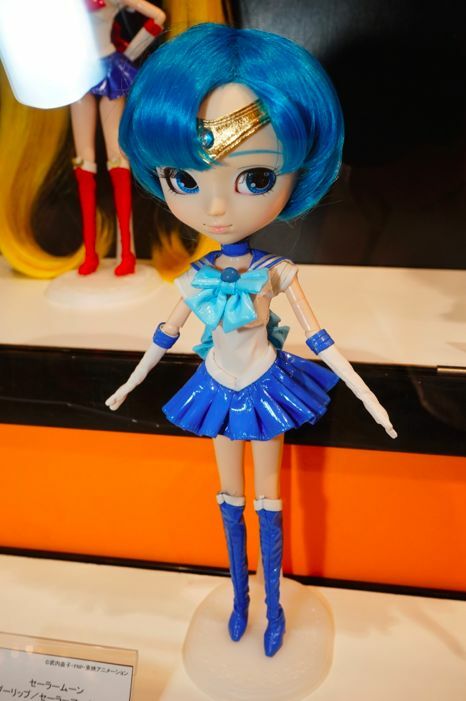 The next Sailor Moon Pullip doll is coming out . 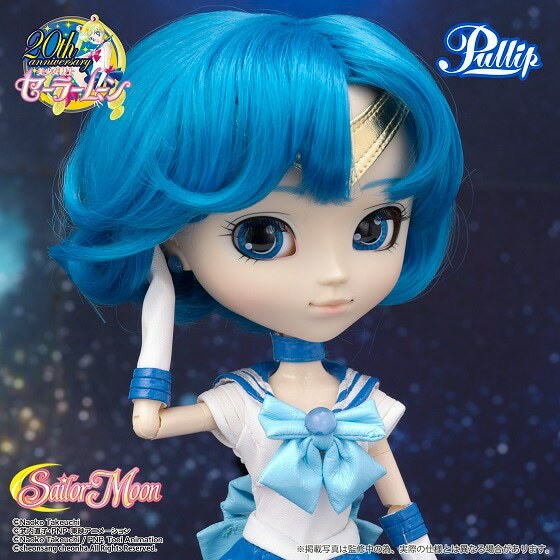 . . Pullip Sailor Mercury! Until then, enjoy this image of Sailor Mercury. 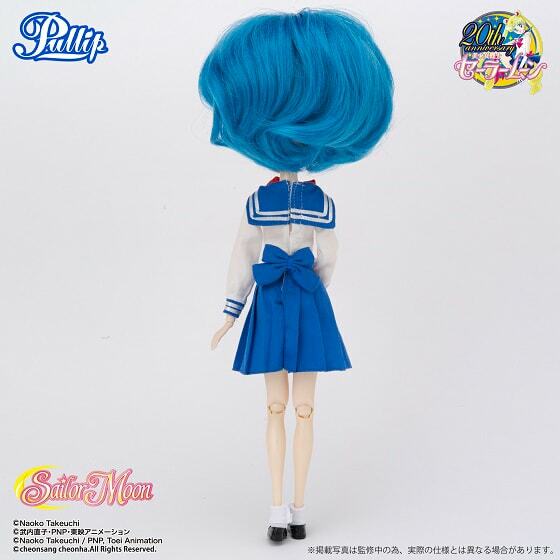 Also do you think this doll is a good representation of her character ? Let me know by leaving comment in the comment section below! omg really??? 30 $ more for the exklusive school uniform??? Why can’t groove make a limited edition with 500 or 1000 pieces or a regular edition with the school uniform for 154 $? 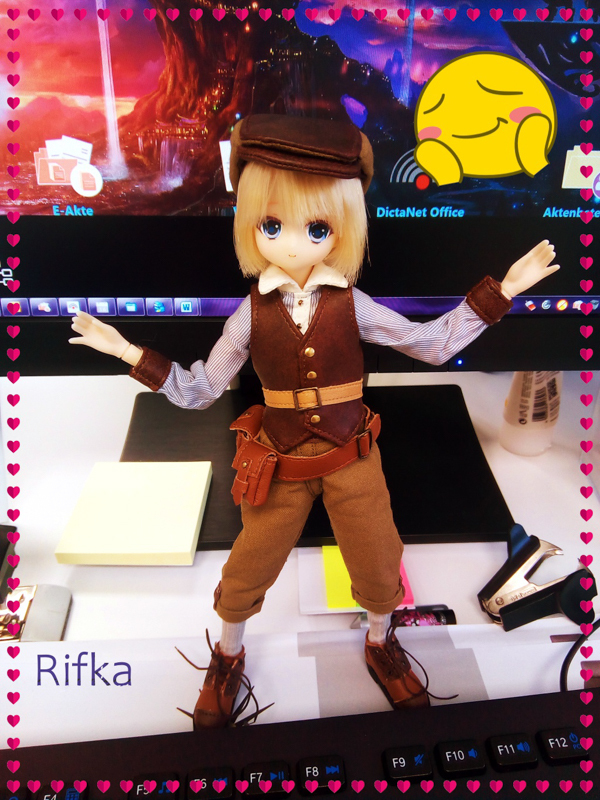 The puella magi madoka magica Pullips and Dal came with her magical dress and school outfit…. 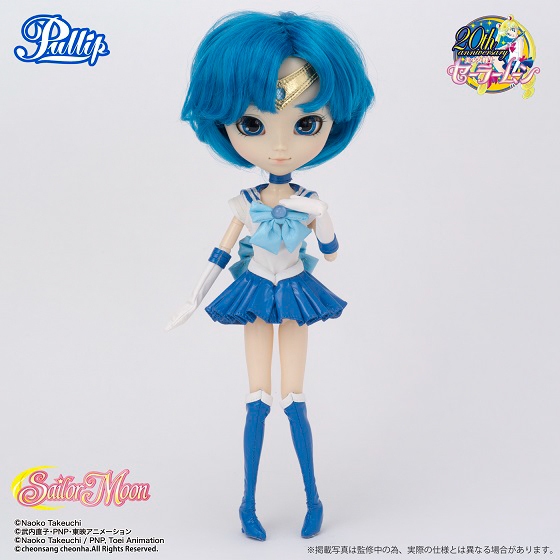 Sailor Mercury looks really good, better than Sailor Moon but i don’t like the special edition and normal edition policy. That’s not fair to the fans worldwide. I’m unsure why Groove would suddenly do this after 10 years to their loyal customers. It started with Pullip Violetta TOKIDOKI HELLO KITTY Special Version with her parasol and plush, Sailor Moon and her plush, and now Mercury?!? I really hope this trend doesn’t continue . . .
I’m looking forward for an official announcement to be made about Mercury. When will she come out and how much? The blue colors are really pretty ^^. 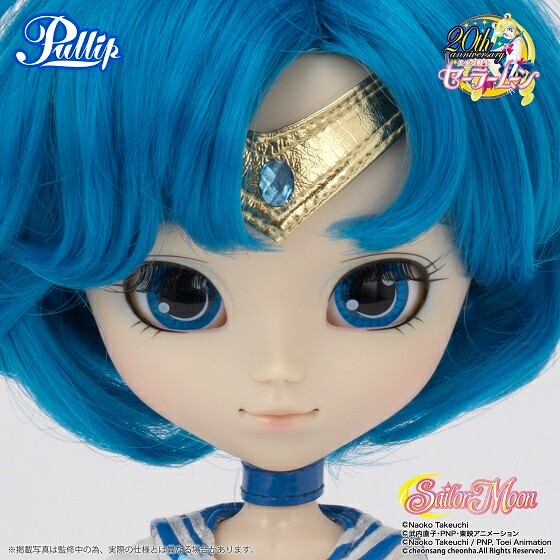 Well, I’ve watched a little bit of Sailor Moon, and these Pullips make me want to watch the whole series 😀 Even if I don’t know very much about the series I think Sailor Moon Pullips are very loyal to the character’s appearance (well, I don’t know anything about character’s personality but they’re pretty ^^’). 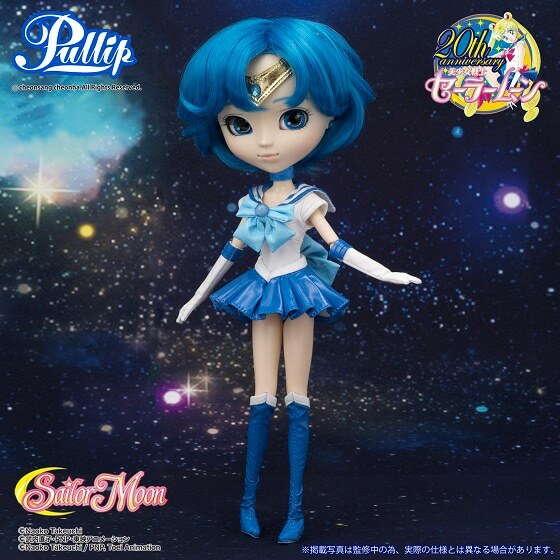 If the earlier Pullip Sailor Moon weren’t my favourite then this is absolutely lovely :3 I love blue-haired dolls, only because it looks good with Pullips large head (because both are abnormal). So I love Mercury’s hair. 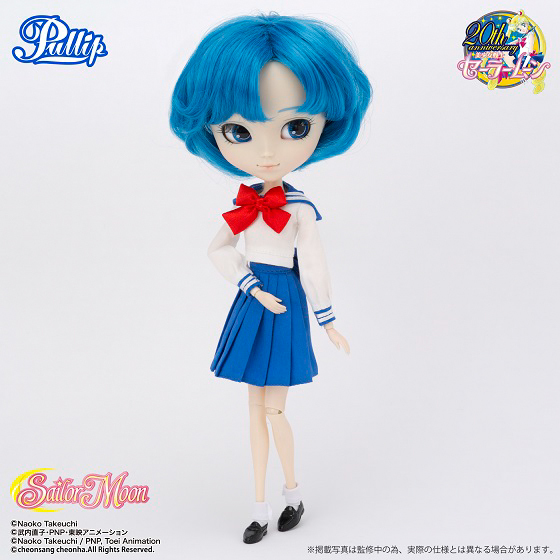 And even if this is a character doll, I’m happy her hair is short. 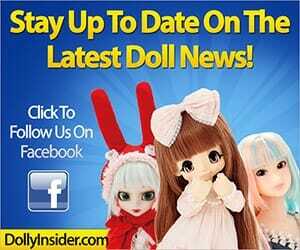 Because even if they’re cute, long haired dolls are soooo common and there’s simply too many of them. Her make-up is just lovely. 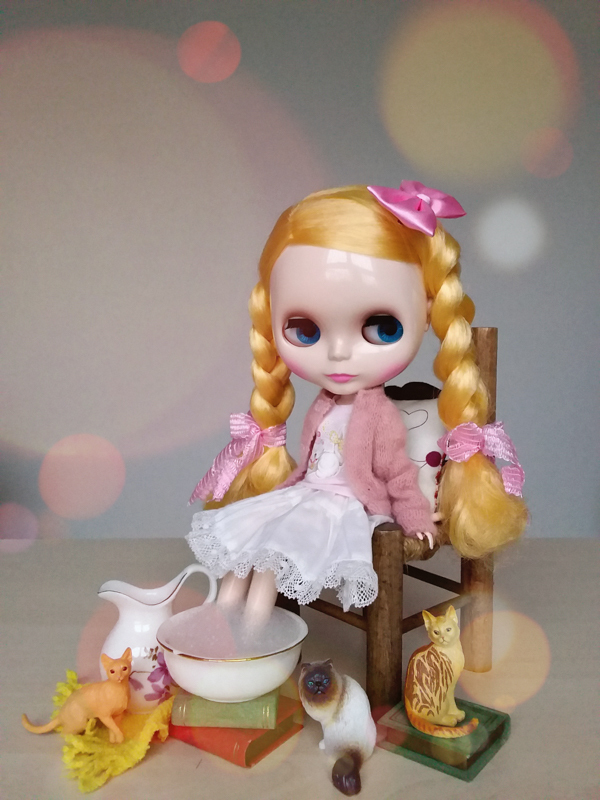 Some Pullip faces don’t have any feelings and I don’t like it, but this looks a bit shy, what is great. I like also her cute lips. Face-up is very neutral, but because of it the colors of the outfit and hair don’t look too flashy. So this doll is very well balanced. It’s not too neutral or not too colorful. I’m not familiar with Sailor Moon, so I’m not sure what to say with this latest announcements. I do like the overall blue tone for this doll, it’s very calm and pretty. 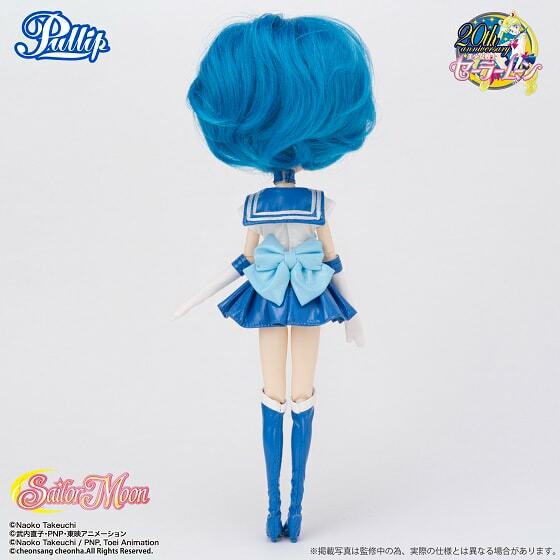 I’m really looking forward to learning more info about Sailor Mercury; her price and when she will be available to purchase.